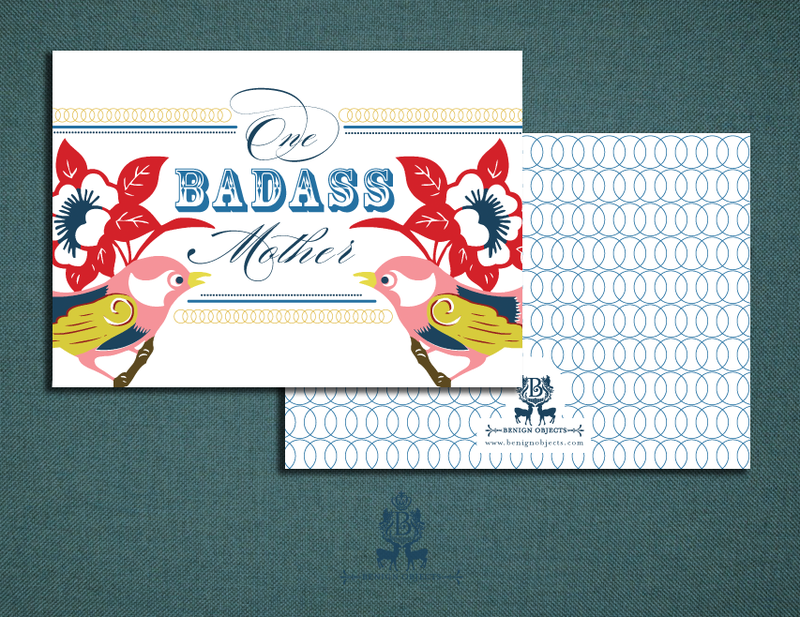 I saw a line on a mother's day card somewhere that read "One Badass Mother" or "Mutha..." if you prefer. It was just that line printed on black cardstock. 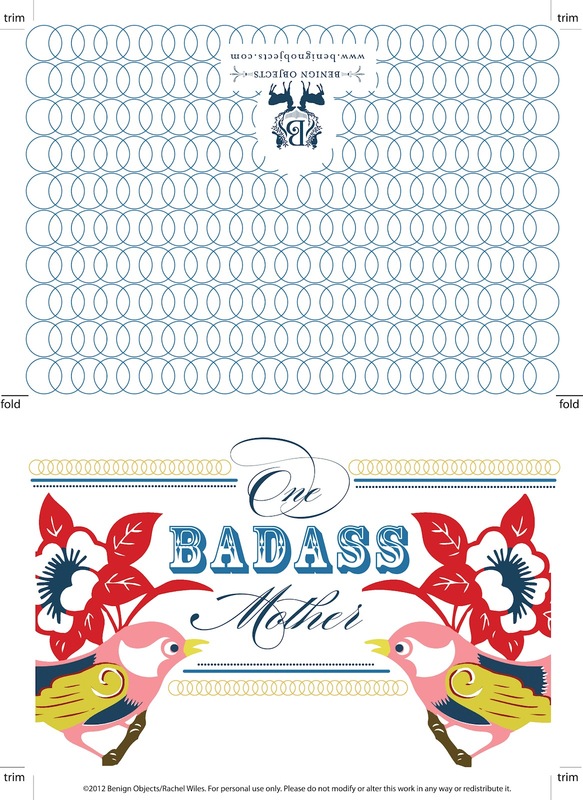 Anyhow, I decided to take inspiration from that this year, as well as some vintage-y graphics reminiscent of tattoo art to come up with this year's Mother's Day Card, because I know my mom is certainly one badass mother. You can download the free, printable PDF on my website. 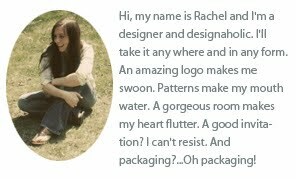 :) Or you can save the jpeg to your desktop below.